We hardly got the chance to know you. The moment the new Jaguar F-Type hit the scene, it was all too apparent the XK’s time was limited. 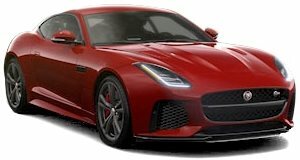 Yes, it’s been around since 2006, an eternity in this industry, but only in the past couple of years has Jaguar really exploited this car’s full potential. First came the XKR-S, and just a few months ago the XKR-S GT was launched. Only 25 examples will be sold in the US, but those lucky enough to grab one will be privileged to enjoy its 5.0-liter supercharged V8 with 550 horsepower and 502 lb-ft of torque. Obviously this is the same engine powering the F-Type R coupe, but the XKR-S GT has something the former doesn’t: track gear. It receives enhanced aerodynamics and advanced suspension development to make it a more lethal track toy. Just look at that large rear wing and numerous carbon fiber add-ons. It’s taken a few years, but Jaguar has finally gotten the XK down just right only to decide it will now be discontinued. It may be pricey ($174,000) and ridiculously rare, but the XKR-S GT is a wonderful goodbye present for a brilliant sports car.